I pretty much live in my office / craft studio most of the week. 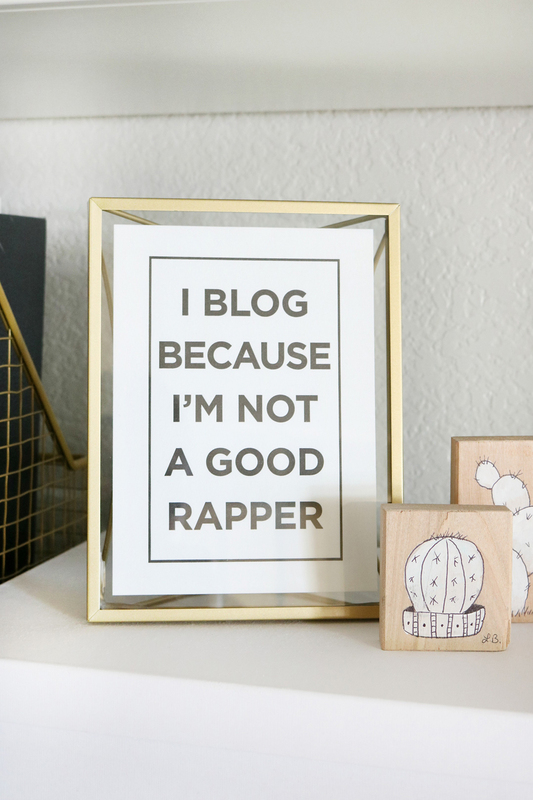 I’m here making projects, photographing, and writing each post in this room. 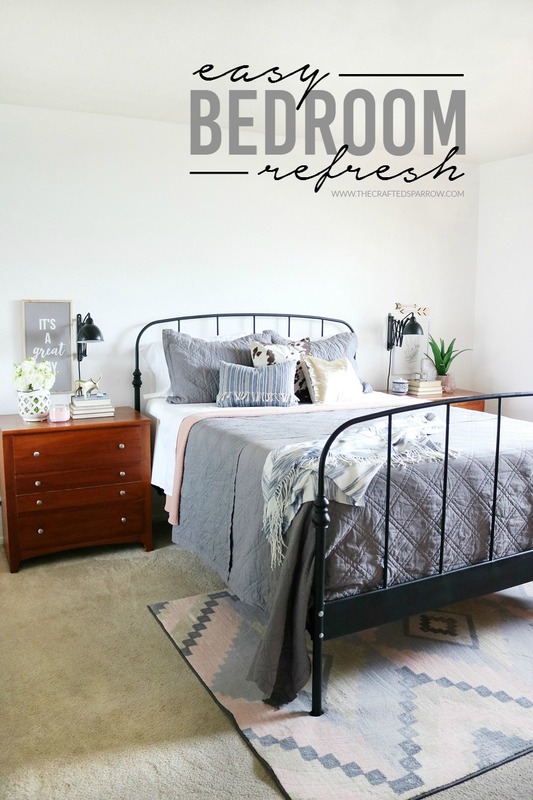 Now that the holidays are over it was time to get things reorganized, clearing clutter that isn’t needed, and make it a space I want to create in even more. 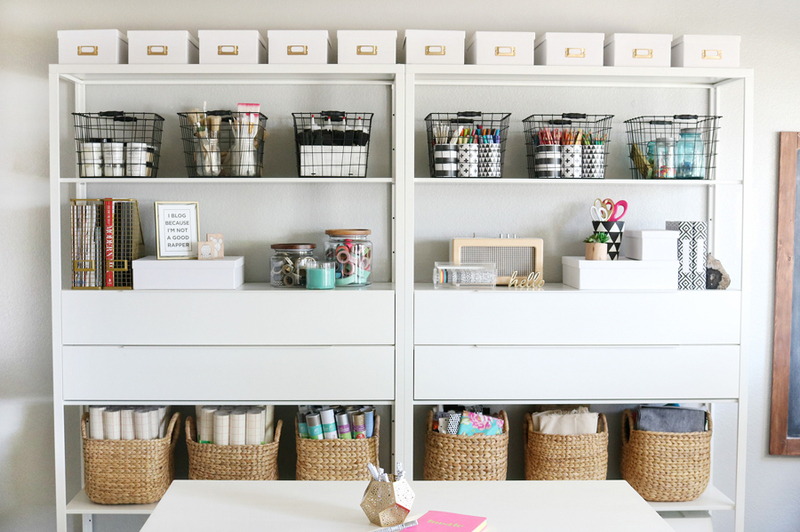 Today I’m sharing my Simple & Stylish Craft Studio Organization with you. 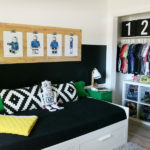 Last year I added these awesome white Ikea shelves, it’s seriously the best purchase I’ve made for this space. It’s helped to keep things I use often organized and functional. 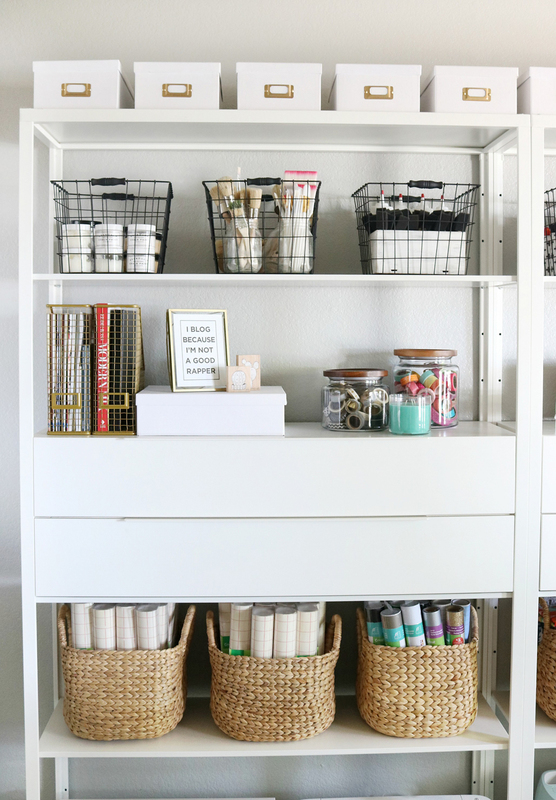 I’ve tried to make the best use of the shelves space for storing my craft supplies using different kinds of boxes, bins, baskets, and containers. 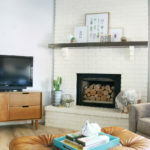 Side Note: See those ugly floors and baseboards? Yeah, those are getting replaced soon and I can’t even begin to tell you how freaking excited I am! 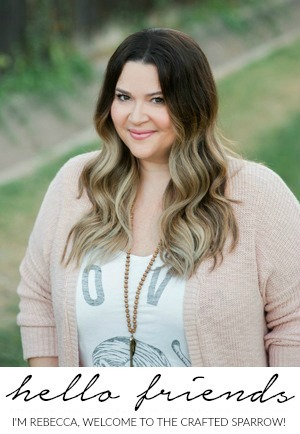 You’re not going to believe the before / after when I’m done! 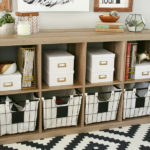 While recently shopping at my local Walmart I spotted these Mainstays Wire Baskets, and at $1.98 a pop I knew they’d be perfect for the drawers in the shelving unit. 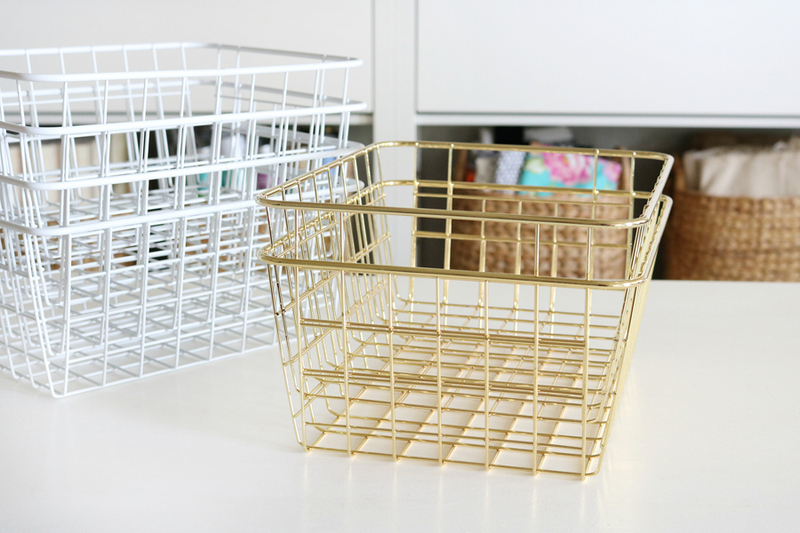 Uhm, hello pretty gold baskets! I only found two, but I’m praying Walmart brings more to their online site or in stores because I need like 10 more! 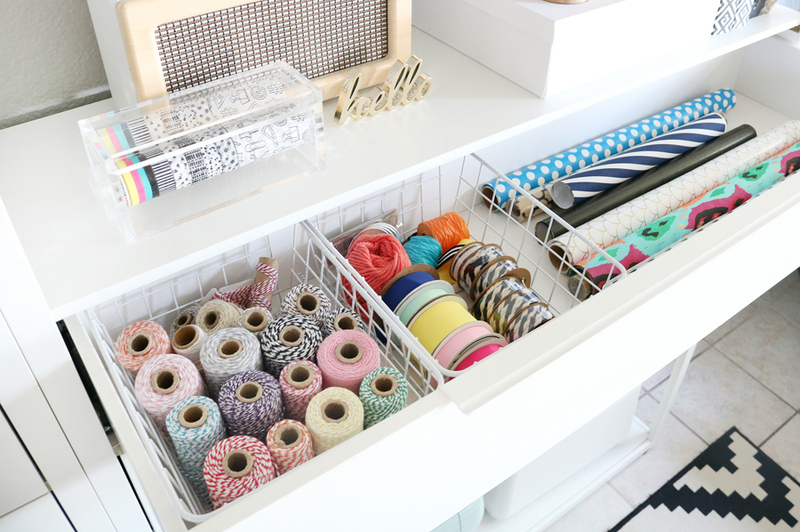 Wire baskets are perfect for organizing drawers, or lining the shelves with your supplies while keeping everything pretty. 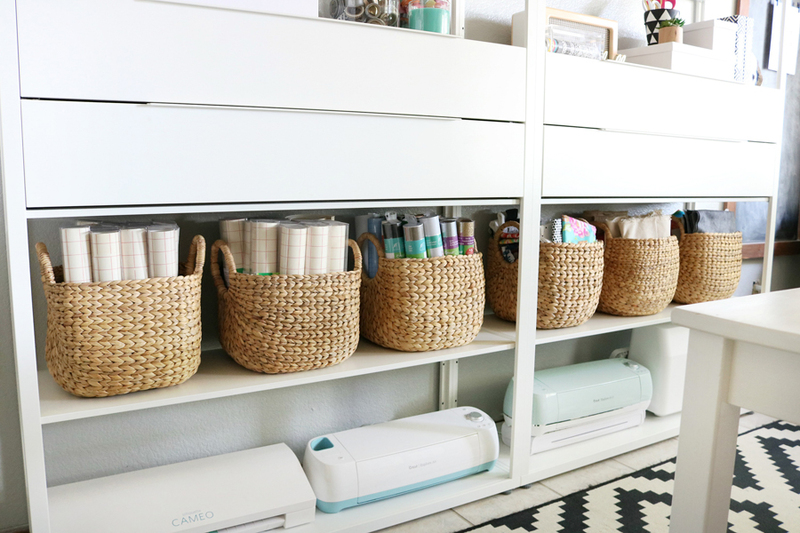 These baskets fit perfectly inside the drawers, they are great for keeping my Heidi Swapp lightbox and minc supplies organized. 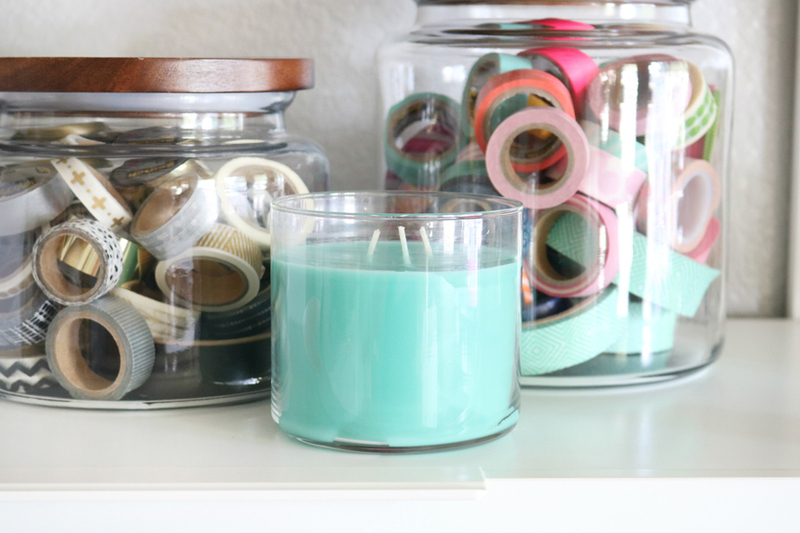 They are also great for keeping that twine and ribbon organized in my gift wrap drawer. In case you were wondering, NO…this is not all the wrapping paper I own! I know, you were deep in thought about that. This is just a small amount, I sort of have a problem and love to buy ALL the pretty wrapping paper. 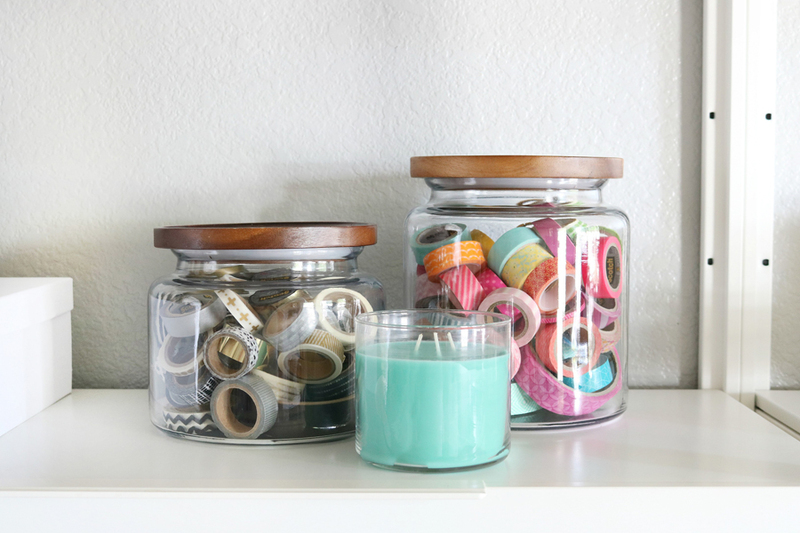 To keep small things like washi tape organized and pretty on the shelves these Better Homes and Gardens Acacia Wood Top Jars in large and medium are perfect. 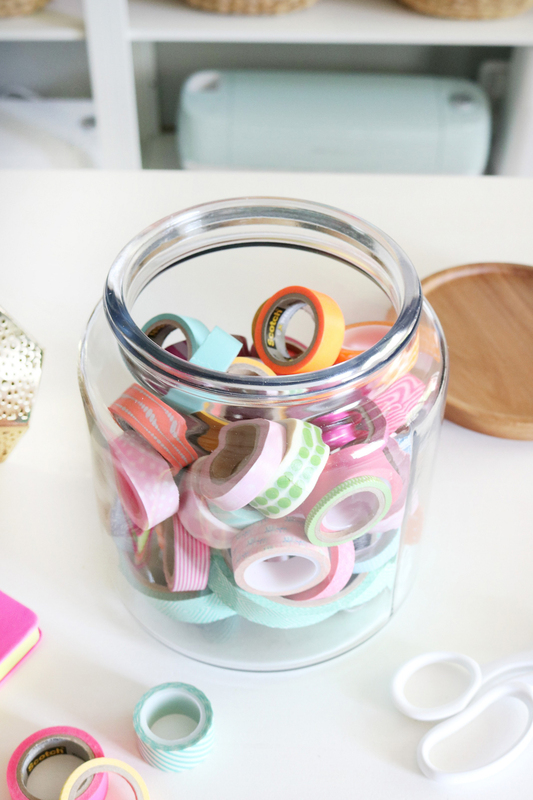 I love these jars and need like a bunch more for my pantry too. Something I always have in my office is a deliciously scented candle. I found this amazing Caribbean Villa Candle in my local store, and oh my goodness does it smell amazing! I wanted to save it for spring, but I couldn’t resist any longer and started burning it this week. Having fresh and fruity scents help me to feel energized when I’m creating and writing my posts. 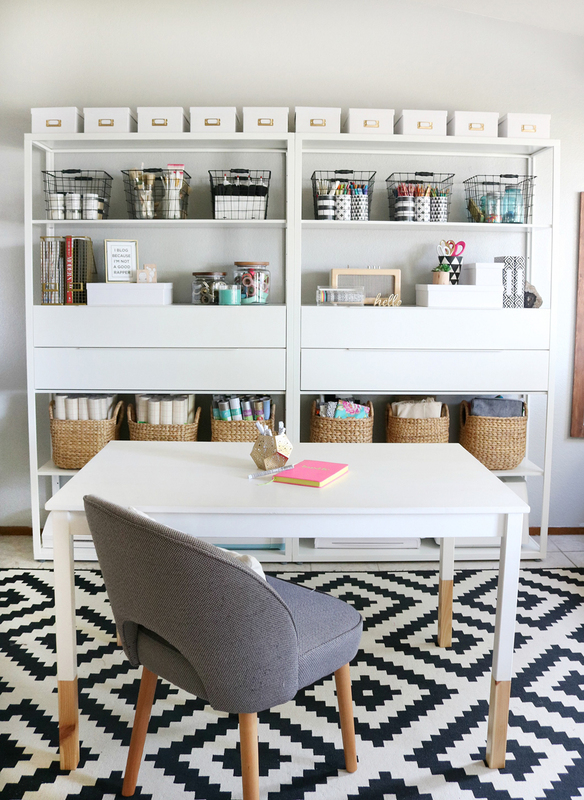 I’ve mentioned before in other posts that my craft studio / office is the first room in our home as you enter through the front door. 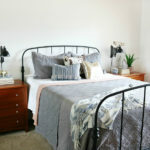 So it’s important to me that when guests enter they see not only an organized space but one that has some personal decor touches too. 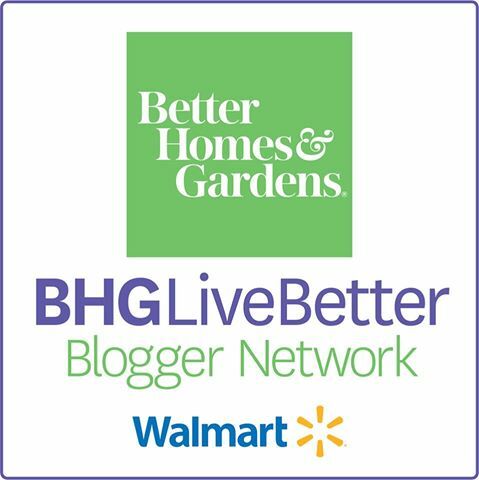 I love this Better Homes and Gardens Arc Decorative Frame, I added a fun print that I got at a blogging conference a couple years ago. My studio space is mostly black and white decor, the added pops of metallic with the gold help to brighten this space even more. 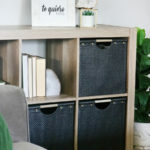 I originally wanted to use these Better Homes and Gardens Burlap Fabric Storage Cube for the shelves to help keep all my Cricut vinyl supplies and fabric more organized. The baskets I already had are totally awesome, but because of the rounded bottoms it makes it hard to store things clean and easily. Unfortunately, the Better Homes and Gardens Storage Cubes didn’t fit my shelves. So I will be on the hunt for something else similar put here instead probably. For now the baskets I already have will stay. 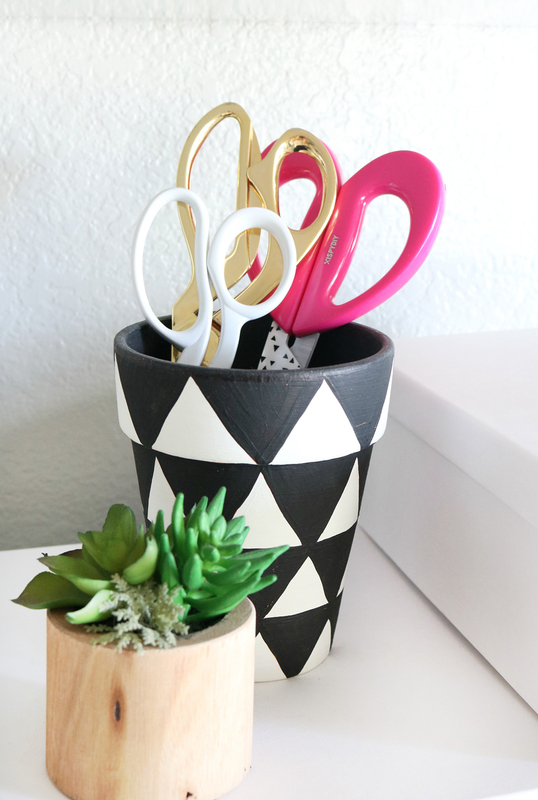 You guys know I love a good tin can upcycle! 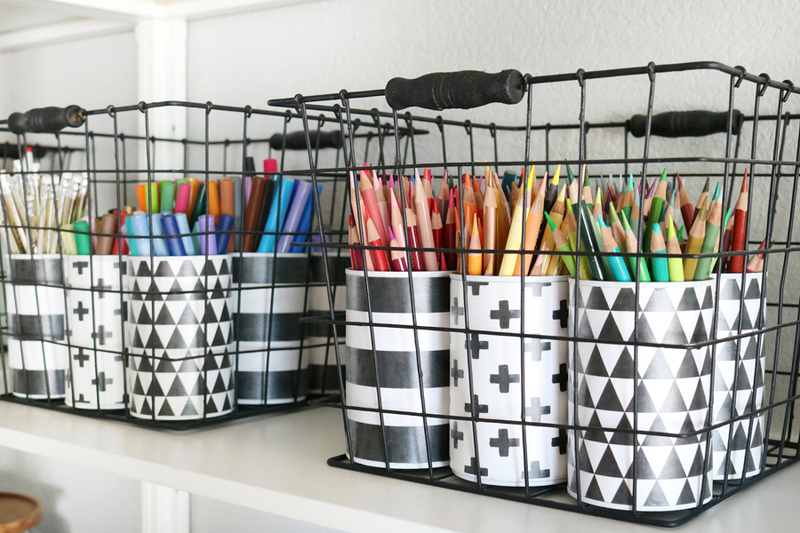 Of course my Prismacolor pencils and markers are all organized in recycled tin cans and in baskets on my shelf. It makes it so easy to grab when I need them. These pencils are super special to me, I’ve had them since high school (20 years ago) and I will be sad when one day I’ve used them all up. I also keep things like my paint brushes, chalk paint powder, and miscellanious tools in these baskets. One area that I didn’t want to go to waste on my shelves in the studio was the tops of the shelves, they can be easily overlooked since it’s so high. With the help of some white Photo Storage Boxes I was able to create even more storage and keep things organized. These boxes hold items I don’t use a lot but will need for photoshoots, staging, or small items like garlands and banners. I keep meaning to make labels and I keep spacing it, one of these days. 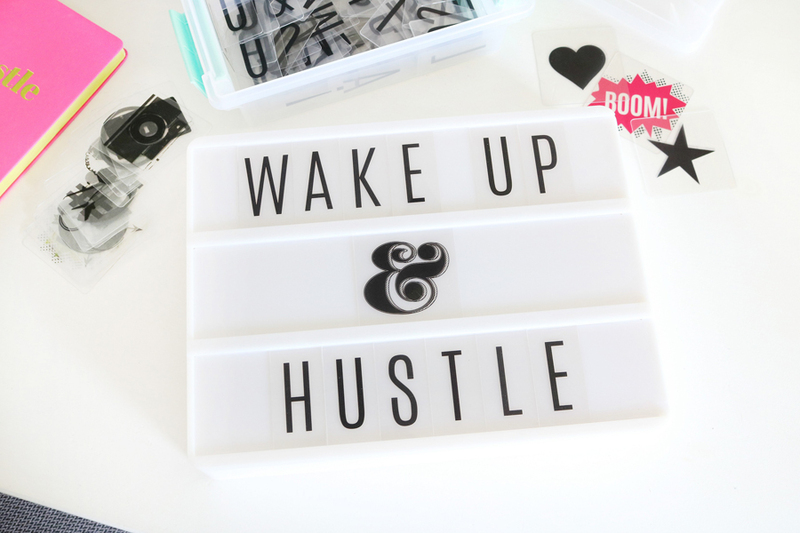 One final thing my craft studio / office must have is my Heidi Swapp Lightbox! We love switching it up each week with a new saying, it’s another great way to get energized when I need to focus or get to work. 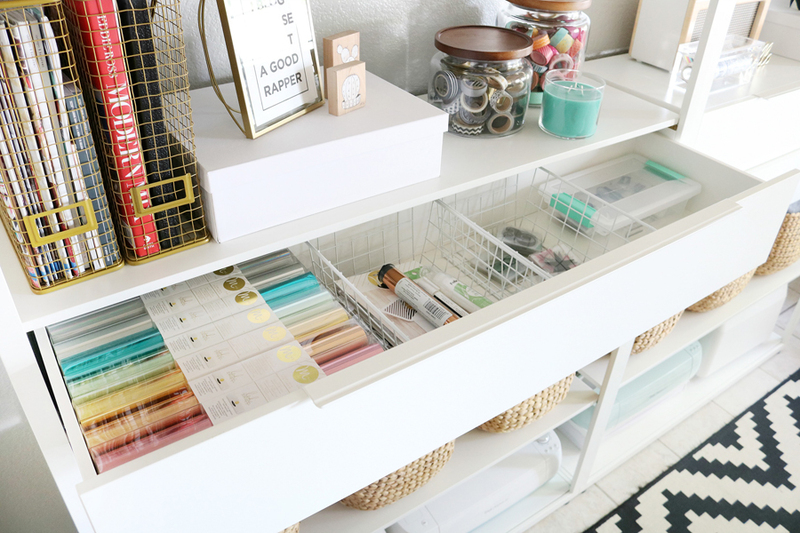 I hope you were able to find these Simple & Stylish Craft Studio Organization ideas helful and that they will inspire you to get organized and start the year fresh! Hey girls, thanks! xoxoxo The baskets are from World Market! I think they still have them, but I’m not sure. 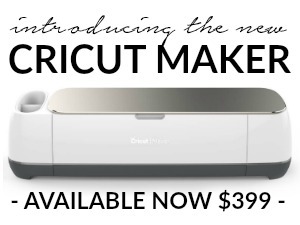 I am in love <3 So elegant and easy to keep tidy! I love this!! 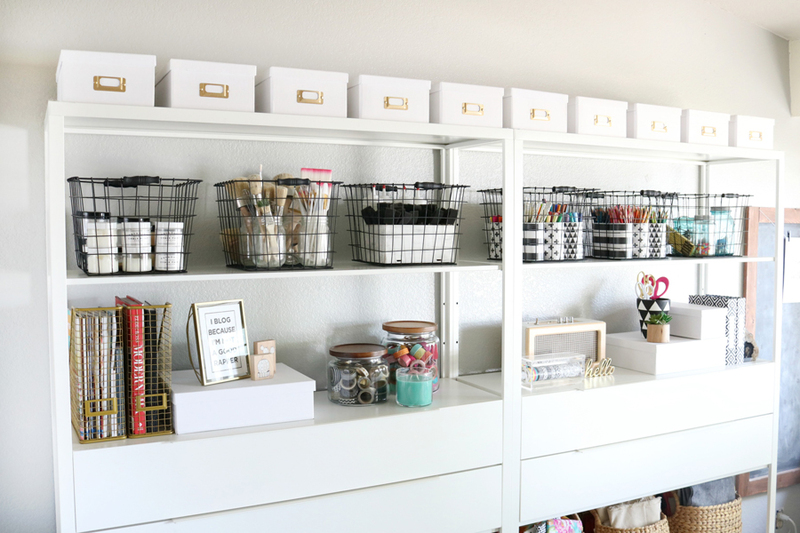 It is so well organized and makes me want to redo my craft room soooo bad!